So I recently became a fan of Steven Universe, so of course I made a gemsona. She has no real alignment, she’s just a random homeworld gem with technomancy skills, and her weapon is a huge monkey wrench. 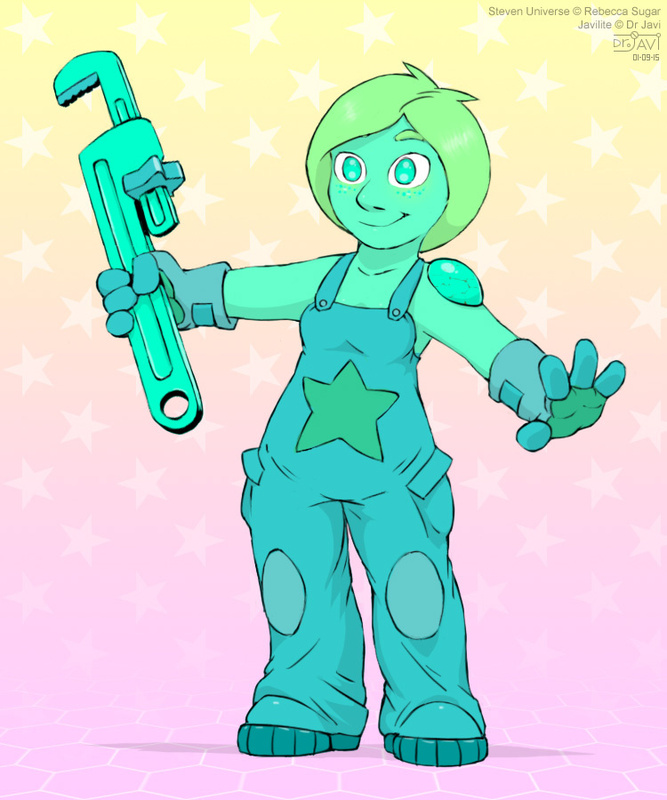 There seem to be lots of other turquoise gemsonas out there (naturally, because turquoises are awesome), so instead I named this lass “Javilite”.